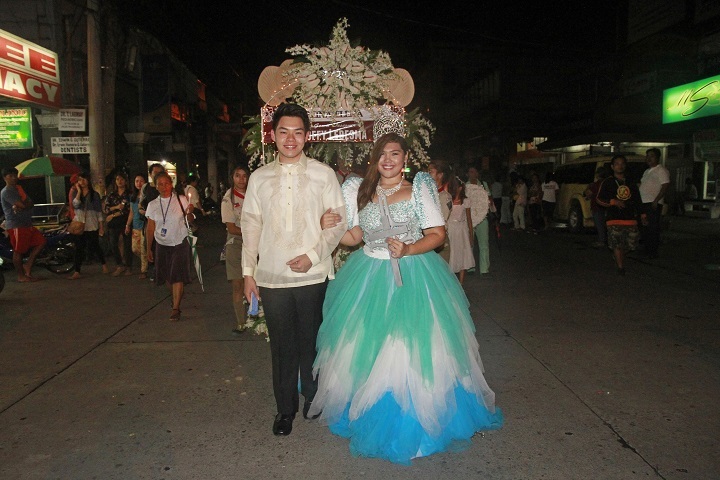 Tagumenyos ended the month of May with an elaborate celebration of the annual Grand Santacruzan, this time marked with the highest mark of religiosity and creativity with a late-afternoon parade of 21 beautiful sagalas in the city’s major streets. 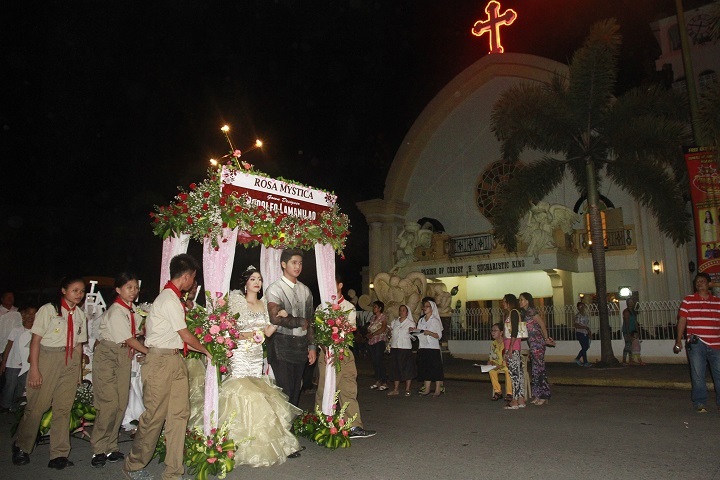 Jointly organized by the City Government of Tagum and the Diocese of Tagum, this year’s Santacruzan featured elaborately-decorated arcs adorned with flowers, signifying another Filipino tradition honoring the Blessed Virgin Mary: Flores de Mayo. 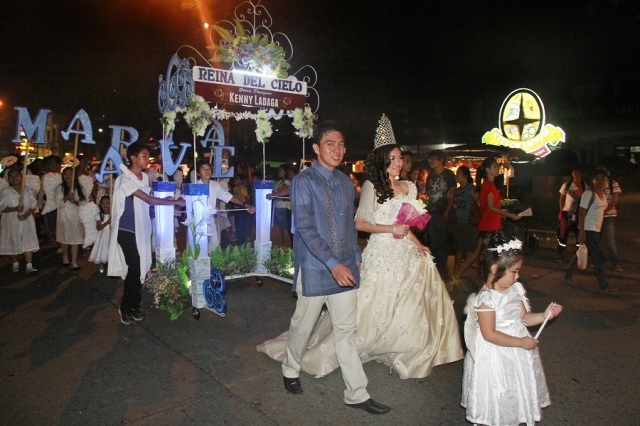 Hundreds of angel-dressed children who participated in the month-long Flores de Mayo in their respective Gagmayn’g Kristohanong Katilingban (GKKs) also joined in the festivities. Santacruzan is a Filipino Catholic tradition that honors the Blessed Virgin Mary and commemorates the discovery of the Holy Cross by Reyna Elena. “It brings out the best in Tagum,” said Marlene Alastra of the Tagum City Tourism Council, referring to the 21 sagalas this year. 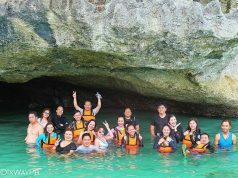 The sagalas this year are Arrold Dave Cacayorin (Methuselah), Darren Jeanne Cahucom (Reina Banderada), Bianca Igtanloc (Reyna Mora), Katrina Mae Balaga (Reyna Fe), Suzie Dawn Rellon (Reyna Esperanza), Melody Rellon (Reyna Caridad), Hannah Dianne Moreño (Reyna Abogada), Shiela Mae Arbuso (Reyna Sentenciada), Hannah Faye Nardo (Reyna Justicia), Dannah Jean Dujali (Reyna Judith), Kristine Lara San Jose (Reyna Sheba), Jae Ann Sollano (Samaritana), Alyssa Mae Alimpolo (Veronica), Sherilyn Arbuso (Mary of Magdala), Ivy Dianne de Guzman (Mary Mother of Christ), Corina Emerphy Santiago (Mary Mother of James), Roxane Francisco (Divina Pastora), Ma. Althea Loreen Fabular (Reina de las Estrellas), Frances Antheanae Ymalay (Rosa Mystica), Christine Parantar (Reyna Paz), Julienne Marie Batingal (Reyna de las Propetas), Korina Christelle Coquilla (Reyna del Cielo), Rizalie Bagnol (Reyna de las Virgines), Doreleen Que (Reyna de las Flores), Allena Sharm Rellon (Reyna Elena) and Dr. Rae Kara Malbog (Reyna Emperatriz). Prior to the procession, a Holy Mass was celebrated at the Parish of the Christ the Eucharistic King. A short program followed the parade at the Tagum City Trade Center and Cultural Pavilion where children and their parents converged, and where the special awards were announced.